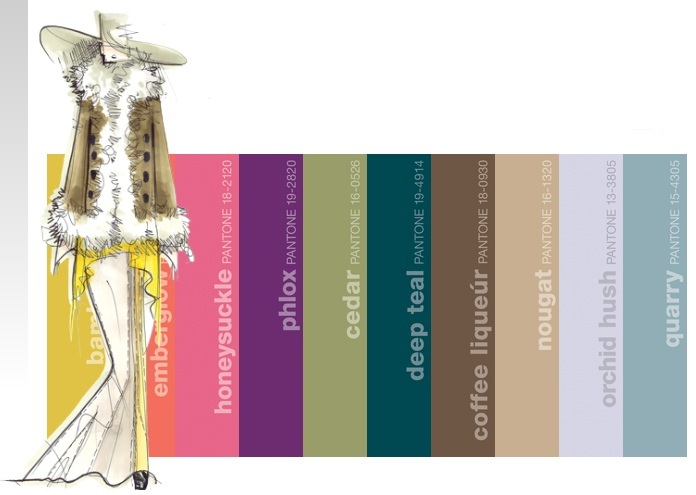 For this month’s fashion collage, I took a little inspiration from Pantone’s Fall 2011 colors. The entire lineup is gorgeous, and would translate beautifully into crystals and freshwater pearls for trendy, colorful jewelry. My palette features teal and purple, with hints of magenta and brown. Early fall is a great time to wear statement jewelry. The days are cool enough for heavier pieces, and warm enough to go without a heavy jacket to cover things up. 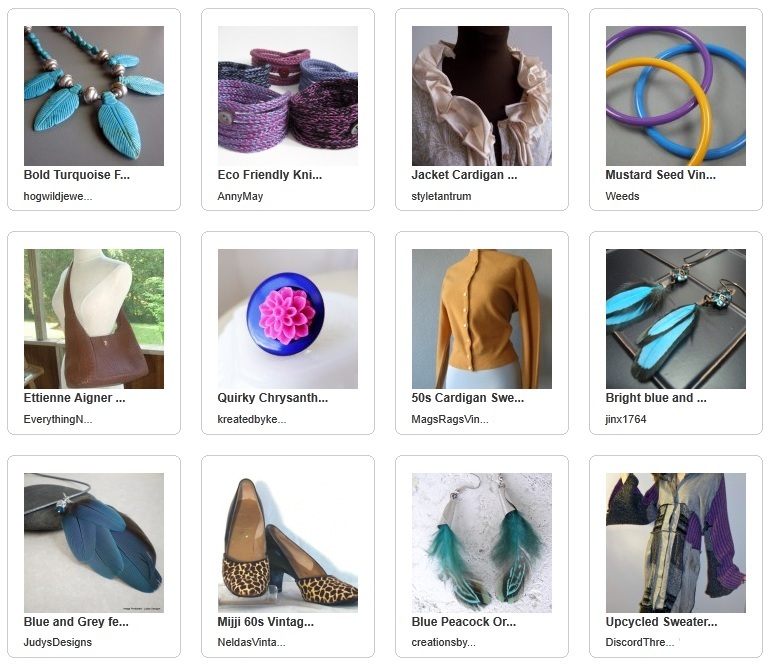 I started with a breezy teal and gold feather bib necklace, and a set of blue and purple stackable bangles that would easily go from casual to chic. 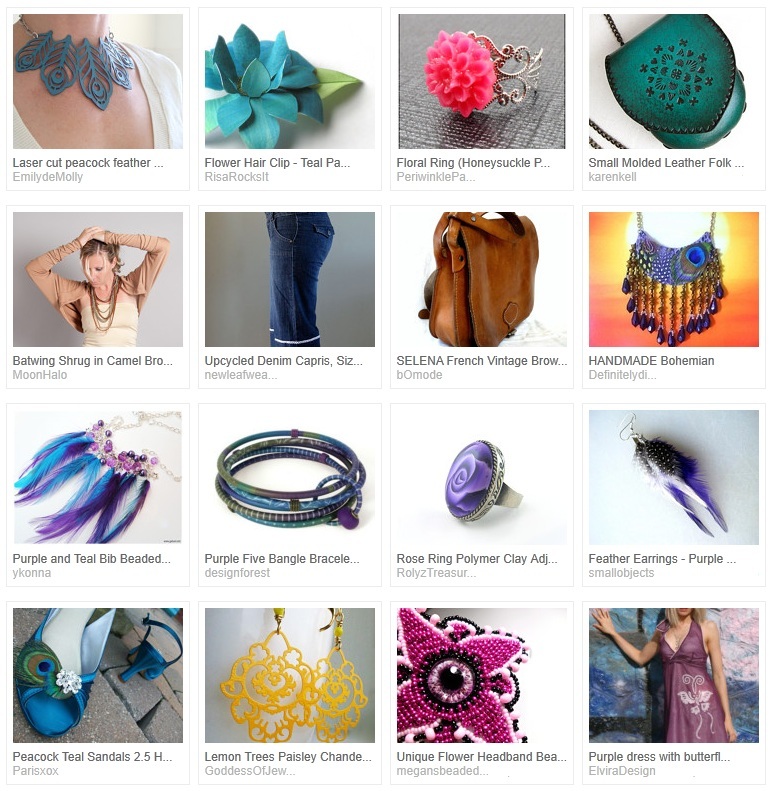 This month’s handmade and vintage picks are also full of feathers and hot colors. Do you like to make or wear feather jewelry? What’s your favorite style? I love all those dresses Mortira! I think you and I have the same taste, lol. I would wear a brooch with feathers in it, but not earrings. But, I would have in my younger years!